Next to gunpowder, the treestand has contributed the most to the success of modern deer hunters—so much so that we don’t even need gunpowder anymore. Thanks to the treestand, a bow and arrow will do just nicely. In fact, it was Florida bowhunter Andy Anders who is widely credited as the first person to commercially produce a lock-on treestand. Anders job in the Pacific theatre during the Second World War was to take out Japanese snipers, who often perched in trees. After the war, while bowhunting uncomfortably and precariously from an oak limb, he remembered the tree seats the Japanese soldiers used. They consisted of a semi-circle bamboo frame with a woven seat, just big enough to sit on. The two arms of a Y-shaped bamboo strut attached to the undersides of the frame, with the sharpened bottom end dug into the tree as a support. The entire contraption was lashed to the tree with a vine. Anders copied the design using a tubular metal frame and strut, a plywood seat and a chain instead of a vine. It became known as the Andy Seat. At first, some thought the treestand was unethical for giving hunters an unfair advantage. It’s popularity exploded, however, and continues to grow as manufacturers keep improving on comfort and safety. 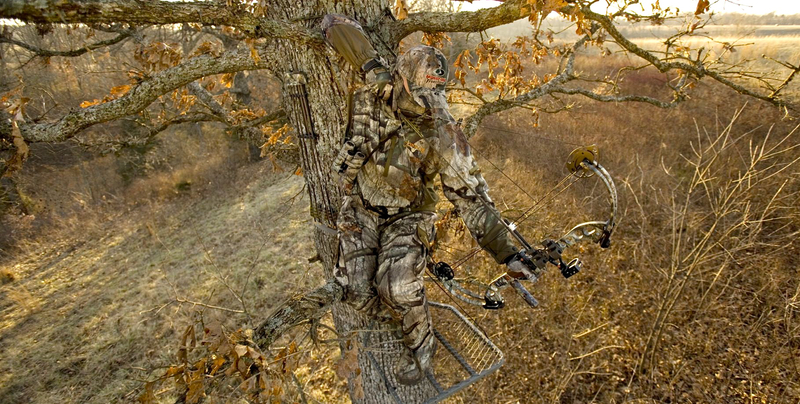 Hunters can elevate their game with a treestand because it offers them a better view of approaching deer, keeps them out of their prey’s sight line and reduces human scent at the ground level. But most importantly, the treestand forces a hunter to sit down and be quiet. 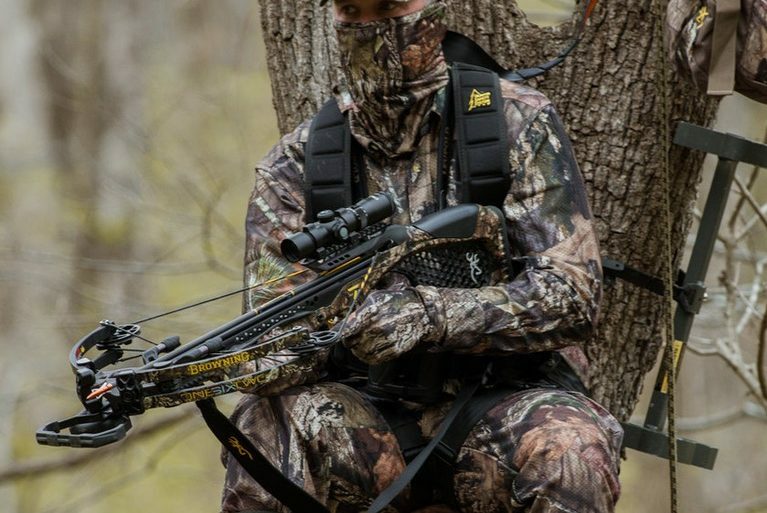 Thousands of bow and gun hunters who once bumbled around on the ground without ever seeing a deer can now climb to the top of the food chain, simply by climbing into a treestand. 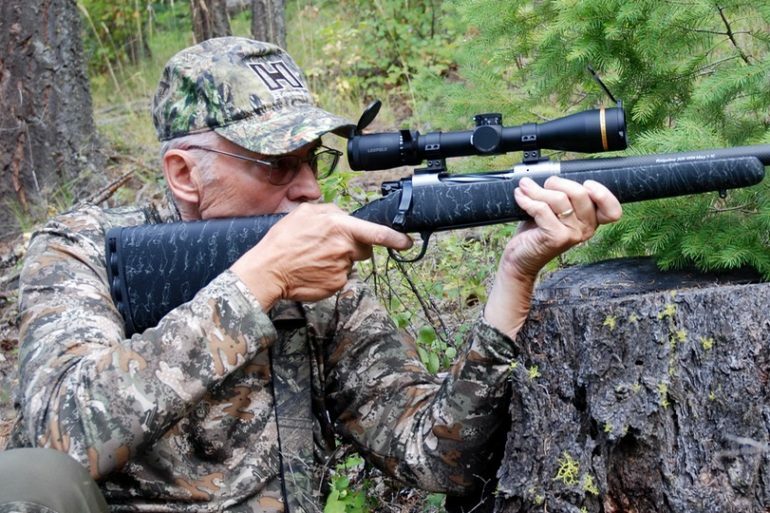 Longtime contributor Alan Davy spends many a fall day in a treestand.